The Barako Bull Engergy gave their full energy as they beat the Powerade Tigers via 39 point lead, 117-78, in the 1st game of the PBA Season 37 today at the Smart-Araneta Coliseum. The Barakos were blazing the court as they showered successful 3-pointers that widen their lead until the end of the game. Paul Artadi, the man of the match garnered 14 points, started the game with a booming 3-pointer that ignited an 11-0 run in the opening quarter. It made the Powerade Tigers struggle to chase the score. In the second quarter, the Powerade Tigers were very consistent in making most of their points through their good shooting from the charity stripe, but the problem for them was that they were unsuccessful from most of their attempts in the field and that made it possible for the Barakos to stay on lead. The Tigers were consistently leaving a window of opportunity for the Barakos to increase their lead even further. In the second half, Sunday Salvacion, Dylan Ababou and Leo Avenido suddenly got hot from beyond that arc and their hot shooting increased their lead to a whopping 40 plus points. But, Doug Kramer and Sean Anthony never lost their hopes as they continued firing crucial baskets. 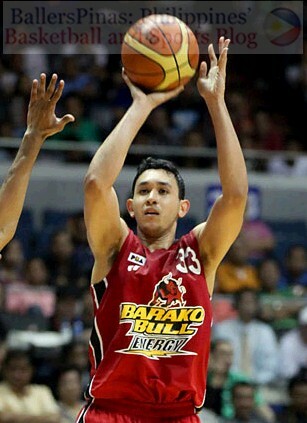 But in the end the lead of Barako Bull was just too much that they failed to cut it to less than 40 points. It resulted to a heartbreaking loss on their part. BARAKO 117 - Salvacion 20, Miller 16, Artadi 14, Avenido 12, Seigle 11, Sorongon 7, Ababou 7, Arboleda 7, Pennisi 6, Allado 6, Salvador 4, Pena 4, Gatumbato 3. POWERADE 78 - Anthony 13, Kramer 12, Lassiter 9, Antonio 9, Martinez 7, Vanlandingham 7, Calimag 6, David 5, Casio 4, Lingganay 2, Allera 2, Crisano 2, Cruz 0.